The officer who was guarding a man who escaped from custody in the West Village on Thursday has been suspended, police said Friday. 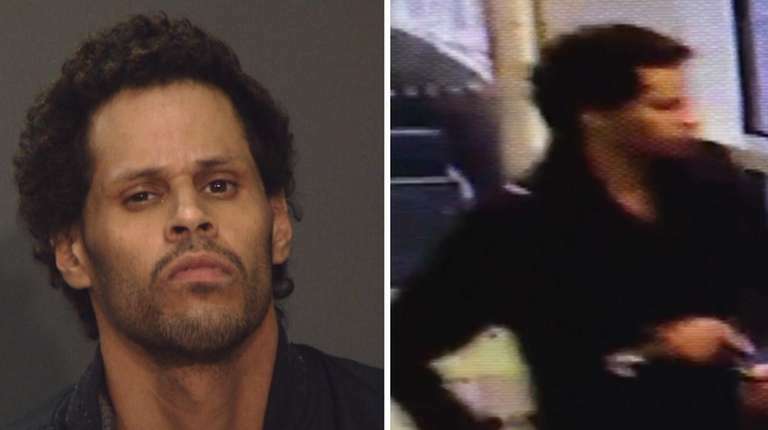 Police are still looking for Daniel Ortiz, 31, who escaped around 3:30 p.m. from the Lenox Hill Healthplex, a hospital facility on Seventh Avenue between 12th and 13th streets. He had been arrested for petty larceny, cops said. Ortiz was being treated in a private room at the hospital, police said. According to ABC News, the officer was on his cellphone outside of the room when Ortiz escaped. Police could not immediately confirm that information. Ortiz was wearing a dark-colored peacoat with no shirt underneath it and was in leg shackles attached to one leg and tucked inside one of his chocolate-covered boots when he escaped, the department said. He also walks with a noticeable limp and may be bleeding from his wrist, cops said. Ortiz is approximately 5-foot-6 and 130 pounds and has brown eyes, brown curly hair and a light complexion, police said. Anyone with information about the escape, which did not result in any injuries, can call the NYPD's Crime Stoppers Hotline at 800-577-8477 or, for Spanish, at 888-577-4782. The NYPD dealt with a slew of escapes in 2015, leading then-Commissioner William Bratton to deem the series of escapes an "embarrassment" to the department.